The Interacter PS series charger utilizes a patented “3 Stage Plus” technology to interact with the battery and provide exactly the right amount of charge. “3 Stage Plus” charging technology eliminates undercharging, overcharging, or damage to the battery, and is completely safe. The internal “battery type DIP switch” can be field set for use with true Gel-Cell, (AGM) Absorbed Electrolyte, or Liquid Electrolyte battery types. 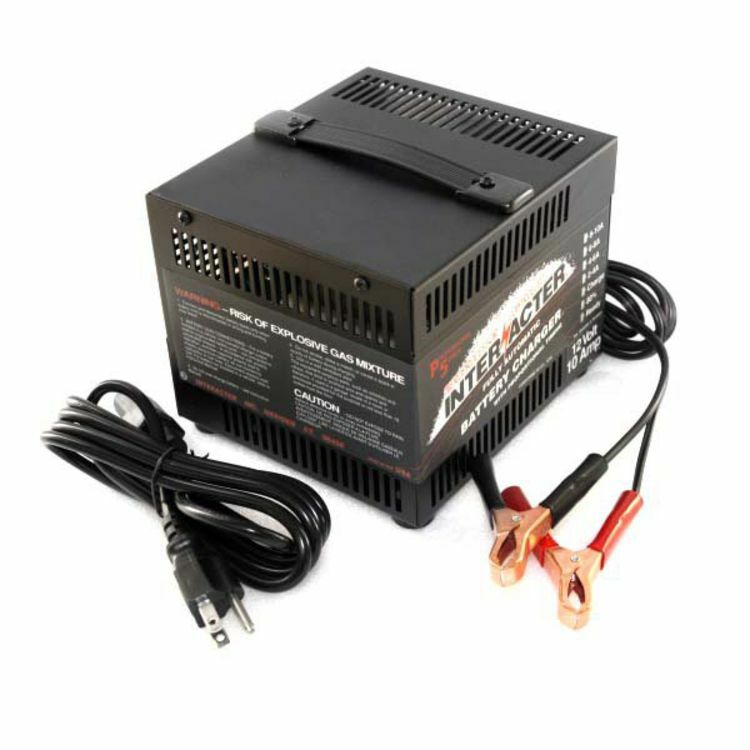 FIRST: A constant current bulk charge is applied to achieve the fastest possible return of energy to the battery. 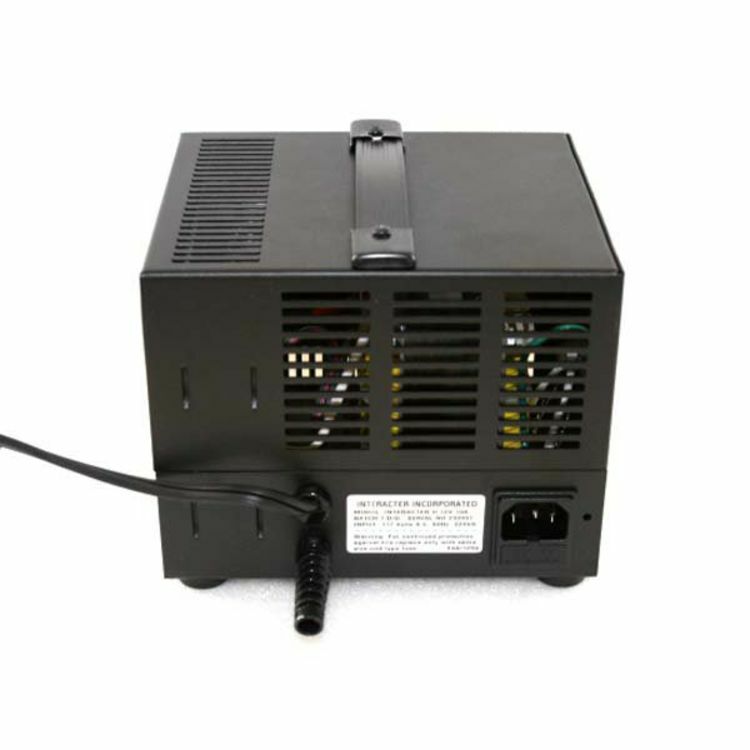 SECOND: This constant voltage stage is proportionally timed and temperature compensated, minimizing electrolyte breakdown and gas emission. THIRD: The final standby float charge stage will replace standing losses and keep the battery in a fully charged state & ready. PLUS: As soon as the battery is connected, a desulfation circuit encourages the breakdown of large sulfate crystals which can develop during prolonged periods of deep discharge. Incorporated in the PS is a sample and hold circuit which eliminates voltage sensing errors and prevents parasitic discharge during A.C. power loss. The built in electronic timer monitors the time taken from the start of charge until the battery voltage reaches the first preset voltage limit. The time duration for the second stage is automatically calculated in proportion to the time taken for the first stage. This feature is specifically designed to optimize charging on a wide range of battery types, ages and sizes. A customer preferred LED Amp gauge indicates the current output without the use of fragile meters or energy loss. A green ready indicator shows positively that the battery is ready for use or will flash if there is an override timeout. Recommended for 12 volt battery systems in the 30 to 120 amp hour range. 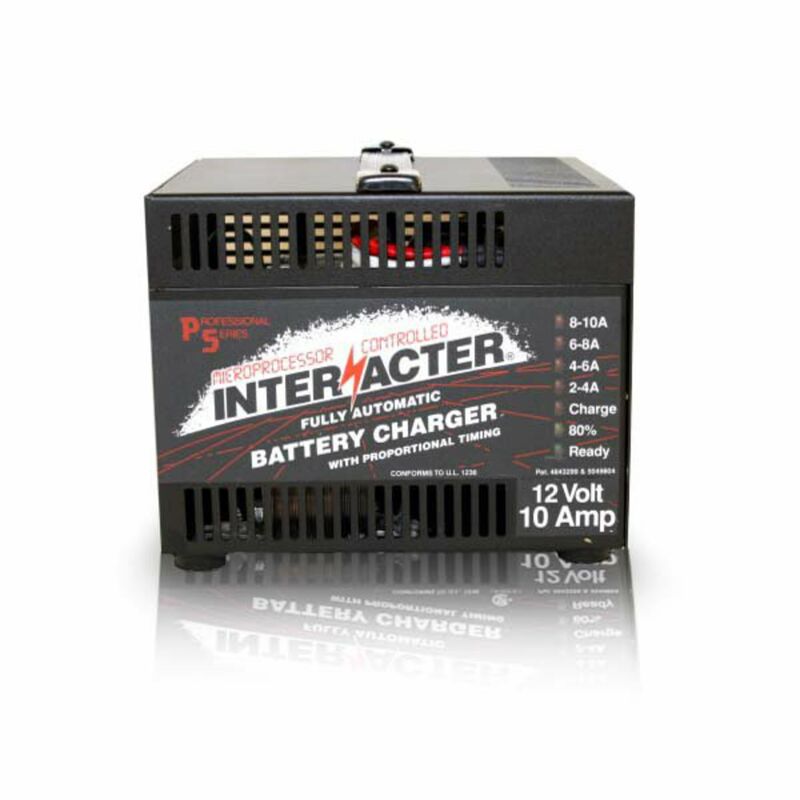 This charger can be used for both bulk charging and long term stand-by maintenance. This charger is made in the United States. Electronic short circuit and reverse polarity shutdown, without blowing fuses. This is an exceptional safety feature. A low voltage start circuit which will recharge overly discharged batteries from as low as 400 milli-volts. Do you own the PS1210? Please, tell us what you think about it. It helps us provide you with better products. Please note that it may take up to 72 hours for your review to appear. Why does it read 13 volts?